The facility has characteristics similar to many known heavy water plants. It likely uses a standard process to produce heavy water with about 15% deuterium (D), then distills it to reactor grade heavy water (>99.7% D). 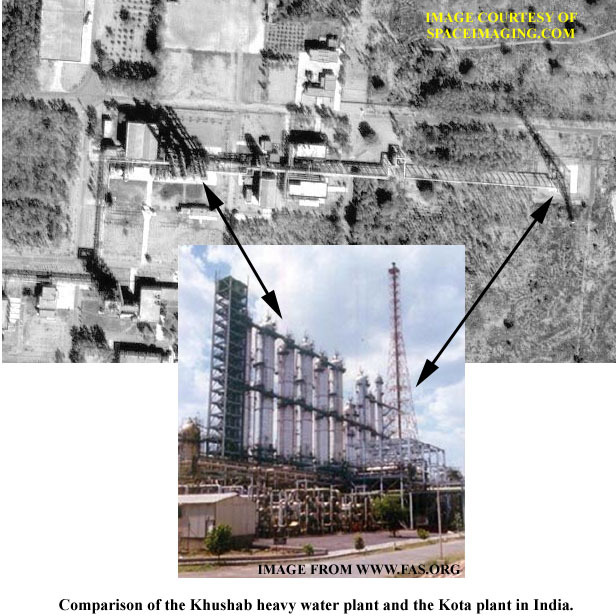 This is similar to the Kota plant in India. The central block of the plant, which contains the large buildings, several smaller buildings, and a tall scaffolding (may contain packed columns), could be the part of the plant used for final purification of the D2O by distillation. The northern block, containing at least four tall columns, may contain a dual-temperature water-hydrogen sulfide exchange process. Farther north, there is likely warehousing of chemicals and storage of drums. We originally believed that there were three cooling towers in the western portion of the site. Based on a re-analysis, the three objects appear to be tanks with stirrers, possibly used to pre-treat or purify water. Based on a comparison to heavy water plants in other countries, Pakistan’s heavy water plant has an estimated production capacity of 50-100 tonnes* of heavy water per year. This capacity is more than sufficient to meet the heavy water requirements of the nearby reactor. A tonne is a metric ton, equivalent to 1000 kilograms or 2200 pounds. 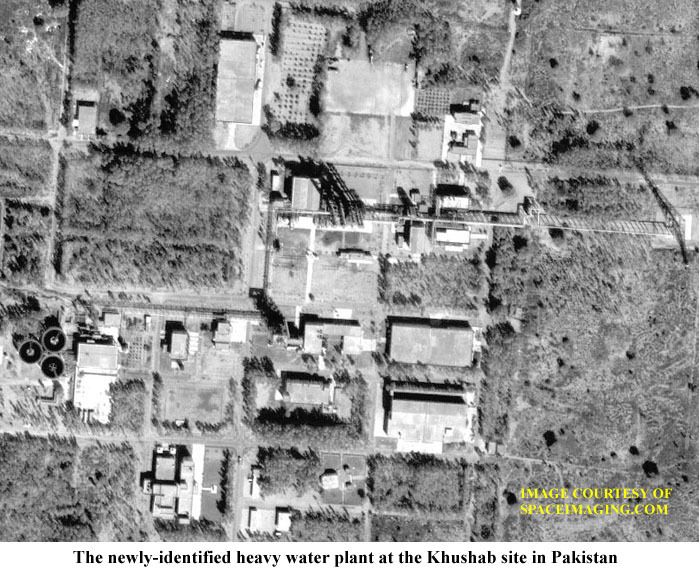 To go to the analysis of the plutonium production reactor at Khushab, click here. To go to ISIS’ Pakistan country page, click here. To go to ISIS’ satellite imagery page, click here.